As you know, new residential construction has been one of the key economic engines for the GTHA and provincial economy for more than a decade. So why doesn't the government consider it a priority to keep this engine oiled and running smoothly? Currently, demand continues to exceed supply, creating an imbalance in the housing spectrum - which includes all forms of housing. While all Ontarians need shelter, middle-class families and millennials are at a disadvantage. With an improved supply of both rental and mortgaged homes, these people will be able to fulfill their housing needs - freeing up more cash for other essentials such as transportation, child care and food. Instead of focusing on supply, the government is pursuing climate-change initiatives without the necessary metrics needed to determine the true cost implications today and for future generations. We need to carefully consider changes before the discussion turns to implementation. Streamline what is now a convoluted planning, zoning and building approvals process. Link housing, transit planning and jobs to properly measure the implications of government policies. Address the skills gap by making meaningful improvements to the training and apprenticeship system. If we cannot build the high-, mid- and low-rise housing needed in the GTHA today or in the future, Toronto's potential as a global city will be squandered. 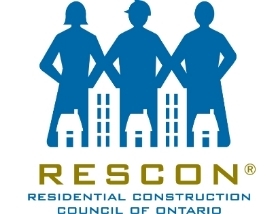 RESCON followed the GTA's residential construction strikes closely and acted as a conduit of information between the negotiators and the public during the mandated 46-day window. Our work continues as we follow the aftermath. Read RESCON's press release on the end of the strikes here. Read the Daily Commercial News' fine reporting here. The Ontario Ministry of Municipal Affairs and Housing has developed a best practice guideline for fire safety during construction of wood buildings up to six storeys in the province, DCN reports. The Ontario Building Code was changed to allow wood construction up to six storeys in January 2015 ... yeah, it's been a while. This professional engineer was on the front line investigating the falling balcony glass dilemma of 2011. 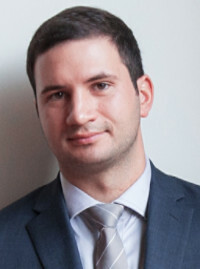 After his latest stint at CBRE as a project manager, Paul De Berardis joins the association as the new director of building science and innovation. Click here to read his story on our blog. 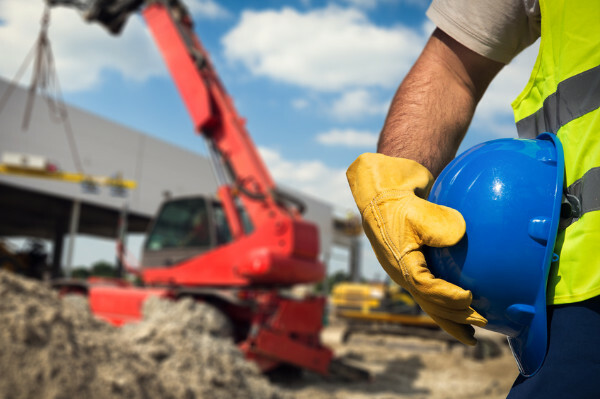 Ontario's building industry will have to wait until late summer or early fall before we learn how the province's new Waste-Free Ontario Act will affect construction activity, DCN reports. RCCAO executive director Andy Manahan and U of T assistant professor Jonathan Hall tell the Toronto Star and CFRB 1010 about the merits of road pricing and eventually expanding the QEW pilot project into a network of HOT lanes across the GTHA. Click here for the Toronto Star story. Click here for the CFRB interview.